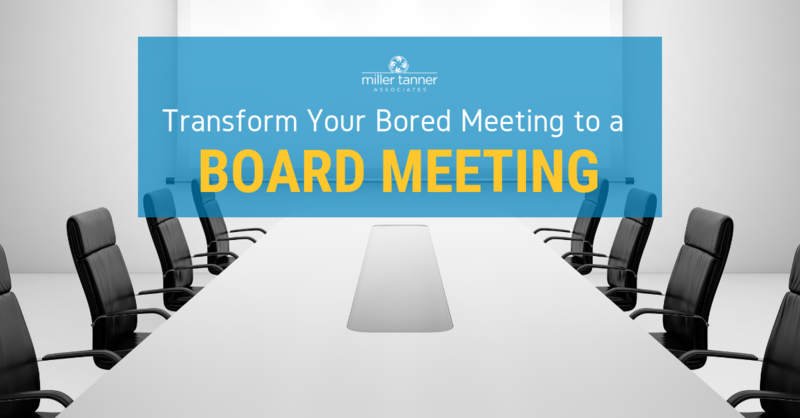 Now that we have that out of the way, let’s think about the ways you could benefit from technology and how to move from a “bored” meeting to a board meeting. All kinds of industries are switching from face-to-face shareholder meetings to virtual events. In the pharmaceutical arena, advisory board meetings are going virtual. Why? Because now more than ever it makes sense. Let’s take travel for instance; travel time is hectic and unpredictable. Travel can be costly, not just in terms of plane, train or bus tickets, but also hotel charges along with food and beverages that will be consumed, and, not to mention, time away from the office for busy business leaders. You can host virtual meetings that share content with your participants, probably easier than in a face-to-face meeting. You can use polling to keep your audience engaged, making your presentations more dynamic and interactive. Virtual meetings hosted by Miller Tanner are planned in the same way as our traditional face-to-face events – we manage all the details so you don’t have to. We are the “Masters of Ceremony” during the event and help you learn to be comfortable using the virtual platform. Your focus will be on the meeting content and delivery of your message… which is really the reason you are meeting, right? So why not try something new? Let technology help you. Call Miller Tanner Associates today to discuss your next virtual board meeting.